For fifteen years most Iraqis have been unable to access the heart of Baghdad b ut the tall concrete walls and barbed wire that have closed off the Green Zone for years, are finally coming down. The Green Zone, a 10 square kilometer area in central Baghdad, has been partially open to the public since December 10 for a two-week trial period that is likely to become permanent. 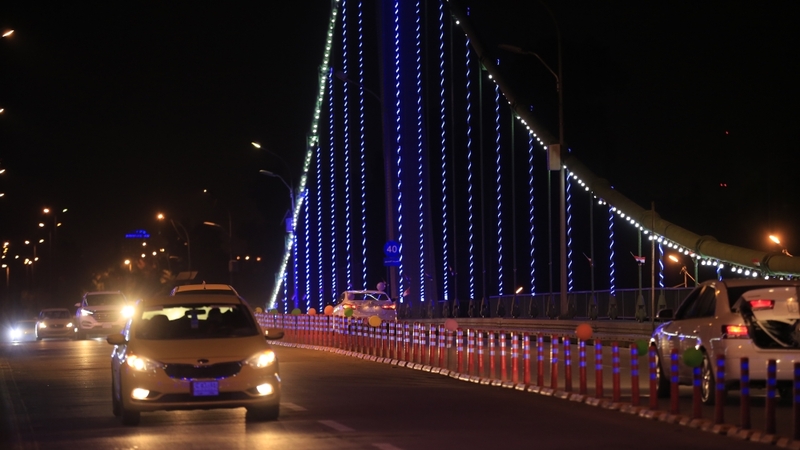 Cars are now allowed to traverse the area from 5pm to 1am along the 14th of July Road, a key thoroughfare that extends from the 14th July Bridge – also known as the hanging bridge – and connects the city’s east and west. Side roads where Iraqi officials are based remain closed however, and government buildings and foreign missions continue to be under heavy security and surveillance. Following the US-led invasion of Iraq in 2003, the neighborhood was cordoned off by the US military, which set up its headquarters there, at Saddam Hussein’s former palace. As the area later hosted the US embassy and Iraqi parliament, the Green Zone became a symbol of the US occupation and the estrangement felt by many Iraqis towards their government. This led Baghdad residents to receive the move with celebrations. 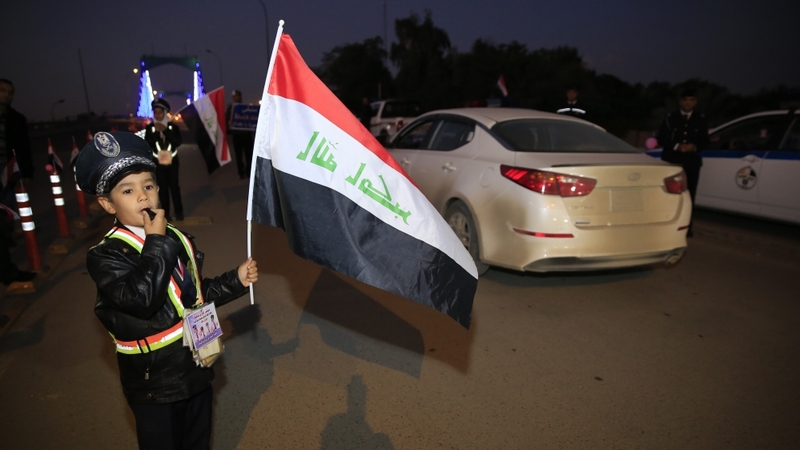 Iraqi flags were seen hanging from car windows, as families cheer on the government while entering the once heavily fortified area. And yet, Iraqis hope more will be done to bring Bagdad back to its former self. The reopening, ordered by Iraqi Prime Minister Adel Abdul Mahdi, coincided with the first anniversary of Baghdad’s victory over the Islamic State of Iraq and the Levant [ISIL], the armed group that had overtaken large swathes of the country since 2014. Hassan Jaber, a professor at Baghdad University, who has been driving along the previously closed off thoroughfare for several days, feels equally elated by the move. “It’s a double celebration of a big achievement [victory over ISIL] and brave move [reopening of the Green Zone],” Jaber told Al Jazeera. “For 15 years this area has been off limits. A whole generation has never seen it,” he added, explaining that the last time he traversed the area was in 2003. Long-neglected road networks in the city of almost nine million residents make movement across Baghdad difficult, and traffic jams ubiquitous. But with two of the capital’s key thoroughfares – Haifa Street and 14th of July Boulevard – traversing the Green Zone, the reopening has reduced some of Baghdad’s heavy road congestion. “The reopening, even if partial, has brought our city a sense of relief,” Ammar Waleed, spokesperson for the Iraqi traffic police told Al Jazeera. “Most residents in Baghdad are finding transit across the city easier now,” he added. Salah Mahdi, a taxi driver and Baghdad resident, agrees but says a real impact will only be felt once all gates to the zone are reopened around the clock. “This is definitely a positive change. But these roads need to be opened during rush hour. That would make a real difference,” said Mahdi. Several Iraqi leaders had pledged to reopen the central zone since the US military withdrew from Iraq in 2011, but their promises were never realised. After the government reopened the Green Zone in 2015 for a few days, it closed it again following opposition from officials over security concerns. The presence of government buildings, residences of several high-level officials, various international organisation, such as the UN, and foreign embassies – most notably the US embassy’s expansive complex – have established security concerns as a longstanding issue. Despite the barriers and checkpoints, the area has remained a target. In 2004, a suicide bombing killed dozens of Americans, while a year later, an Iraqi legislator was killed in another attack on the parliament. Followers of Iraqi Shia religious leader Muqtada al-Sadr targeted the area with rockets several times in 2008. And in 2016, anti-corruption protesters stormed the Green Zone, bringing the government to a standstill. The area has an important place in our memory. It’s been under occupation by the Americans and the government for too long. Although there are no guarantees the reopening will be permanent, there are promising signs the government will keep its word on the matter this time. “It’s definitely different this time. The government has made a real promise and the threat of ISIL is no longer present,” said Hakeem Abdul Zahraa, spokesperson for the Baghdad mayoralty. 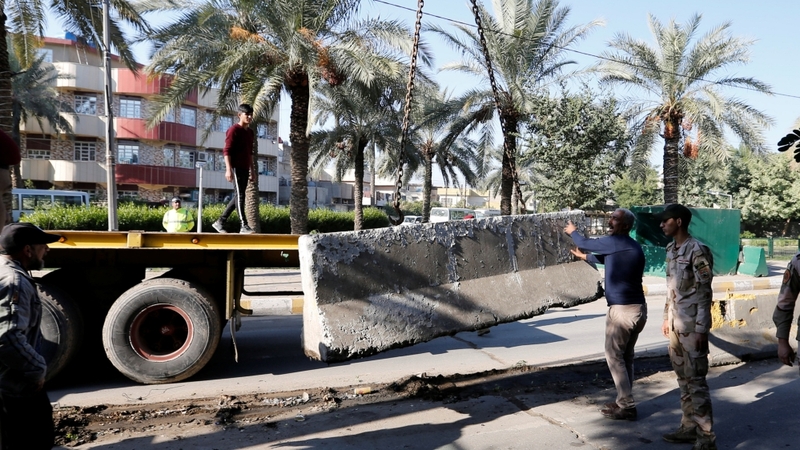 For several weeks ahead of the move, the mayoralty has worked with the Iraqi security forces to lift kilometres of blast walls across the Green Zone. They have also dismantled several checkpoints which previously only allowed people with biometric badges and vehicle passes to enter. “For weeks now we’ve been working. We’ve removed a lot of the blast walls, but lots more are yet to be taken down,” said Abdul Zahraa. According to Abdul Zahraa, the government will definitely complete the process, but a gradual approach is necessary. The US embassy in Baghdad had not responded to an invitation to comment on the Green Zone reopening by the time of publishing this article. It did not make any official statements on the move except to warn, in a security alert, residents in Baghdad to remain indoors on the night of the reopening. According to Mamoon Alabbasi, a political analyst focusing on the Middle East and North Africa, despite the presence of security concerns, the government is unlikely to go back on its word. “Abdul Mahdi will go through the reopening, or as much as he can of it. Security concerns and possible pressure from officials remain. But that’s why the reopening has been partial,” he explained. In addition to opening up the area, Abdul Mahdi relocated his offices out of the fortified enclave on the first day of his term in late October, saying that he wanted to bring his government closer to the people and for Iraqis to consider “all of Iraq a Green Zone”. But with frustrations over chronic power cuts and water pollution prompting large protests across Iraq’s southern provinces in recent months, analysts believe this move may not be enough to calm the public. “The reopening of Green Zone has made Abdul Mahdi more popular, but it is a cosmetic change of sorts. The real problems are still there and people in Basra are fuming over the lack of policy change,” said Alabbasi.